ABOUT 3 850 former Ziscosteel workers and those of its subsidiaries, failed to get their outstanding salaries in March after the Zimbabwe Revenue Authority (Zimra) garnished the former steel giant’s accounts. Government assumed Ziscosteel debts under the Debt Assumption Act in 2017 after retrenchment of all employees in 2016. Former Ziscosteel employees have been receiving part of the $38 million windfall availed by Government as part of their outstanding salaries backdated to 2009 . Government agreed to clear the former workers’ salary arrears in tranches beginning September 2017. Ziscosteel Workers Committee chairperson, Mr Ben Moyo, confirmed that they had not been paid their March instalment but said he was not aware of the reasons. Ziscosteel chief executive officer Mr Alois Gowo confirmed that Zimra had garnished the company’s account where the workers salaries are deposited hence they could not be paid. 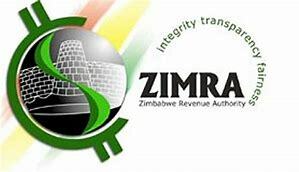 “The company failed to pay its statutory obligations and this prompted Zimra to garnish its account. All along the company has been surviving on selling of blast furnace slag that is the same money we would use to pay for electricty, Kwekwe City Council water bill as well as the little we paid some workers.We however failed to raise enough money to meet our statutory obligations,” said Mr Gowo. He could not disclose how much they owed Zimra but said negotiations were underway for workers to be paid their outstanding salaries. “The company has offered a payment plan to Zimra, which is under consideration. Once accepted, the garnishee would be lifted and former workers would be able to access their salaries. Workers need not panic as we are hopeful that the talks will yield positive results,” said Mr Gowo. Workers at Ziscosteel subsidiary companies, Lancashire Steel and Bimco were also affected. Zimra spokesperson, Mr Francis Chimanda, could not be reached for comment as his mobile phone went unanswered. The company effectively stopped production at its Redcliff plant back in 2008 resulting in about 5 000 people losing their jobs.